Who is this lipstick for? 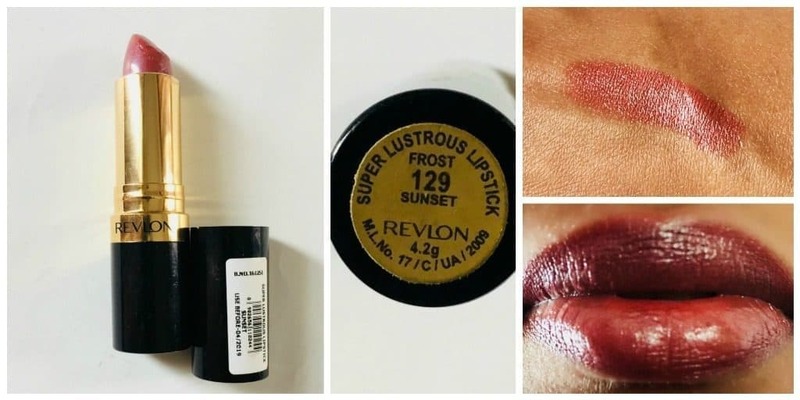 Revlon Super Lustrous Lipstick Sunset Frost is for anyone who wants to touch up their appearance with a lipstick without making your appearance look too loud. It’s a frost finish lipstick. Packaging: The lipstick is available in the usual stick form. It has a cap with a transparent center, which helps you in giving a peek to the lipstick color. Overall, the packaging of the product is simple and ordinary. Shade: The lipstick shade is a good combination of brown and pink colors along with a shine. This gives this particular shade a very new and interesting look. This particular lipstick has a very new look and the goes well on every skin color. It is a light and wearable shade. Texture: The lipstick has a slightly creamy texture which moisturizes the lips well and also is extremely easy to apply. It is very smooth and can be applied with utmost ease. Pigmentation: The lipstick has a good color. It is of slightly lighter shade and easily covers the lips on application. If you want a darker shade you will need a couple of swipes. Staying power: It has a good staying power. It usually stays well on the lips for about three to four hours. Fragrance: The lipstick does not have any fragrance as such. Nothing as such which I don’t like about this shade, but I feel all of you who prefer darker lipstick shades will probably not like this shade. I would definitely recommend this subtle and smart shade for a buy. It is a nice product for enhancing your appearance particularly for summers as we don’t want to use too many colors or bright shades. Revlon Super Lustrous Lipstick Fuchsia Shock|Best Fuchsia Lipstick? Everyuth Face Pack : Cucumber Face Pack that Works ? A wearable brown colour.. This shade will go well with every shade and every attire.. My mom loves such shades..